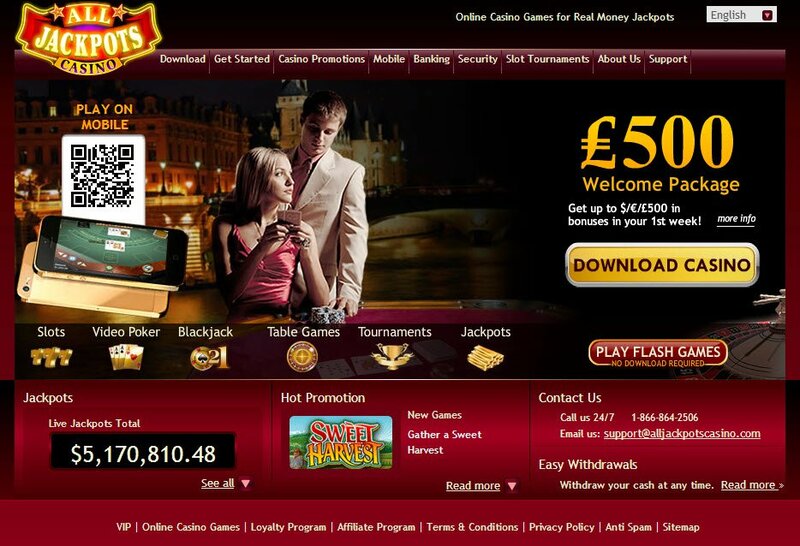 All Jackpots Casino is a key member of the Jackpot Factory group of casinos and was founded in 2003. All Jackpots Casino is licensed by the Lotteries and Gaming Authority Malta. It also has the eCOGRA Seal of Approval and is approved by GamCare, who are a leading authority on high standards of social responsibility and player protection in this industry. When registering after download, there are seven different currency options available to you. Download takes no time at all and, everything in the lobby is very beatly arranged so you can see what All Jackpots Casino bonuses, games and payment methods are available to you. You have the live slot tournaments available on the Viper download software and a variety of instant play games with the All Jackpots Flash Casino. All Jackpots Casino promotions include over $4,000 in player bonuses over your first year. 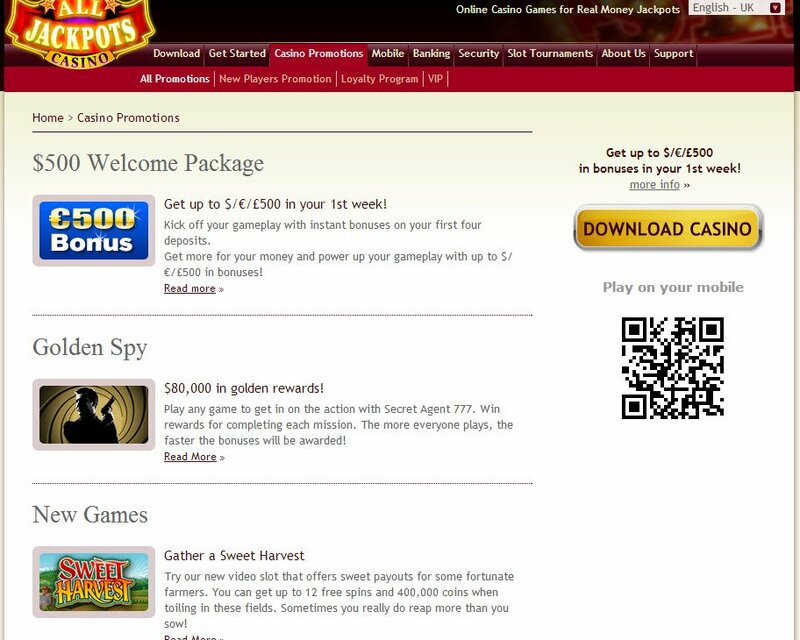 Has All Jackpots Software Hit The Jackpot? 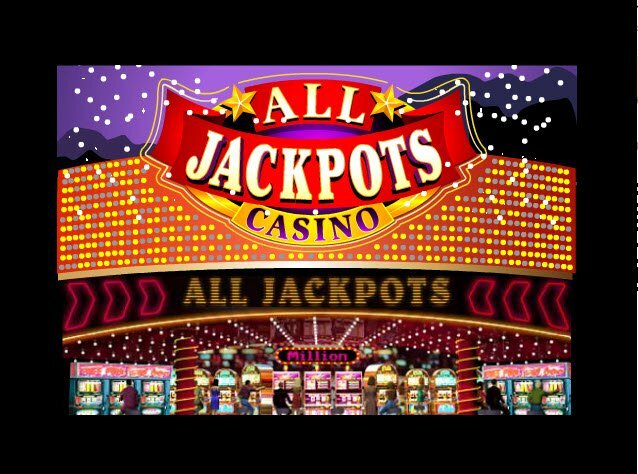 All Jackpots Casino uses Microgaming software, which is a sturdy option and one of our favourites here at VegasMaster, despite the so-so graphics it tends to provide. It does excel at innovative new slot games and, as you will read below, this is definitely a casino built and geared more towards the amazing jackpots on offer than the quality of the graphics. £200 on your first deposit and followed by $300 more over the next three deposits. Whilst this is a fairly generous welcome offer, VegasMaster has reviewed casinos with a fair whack more on offer to welcome its players. All Jackpots Casino promotions include over $4,000 in player bonuses over your first year. That’s including 10% back on deposits of up to $360 each month and a loyalty programme with your usual cashback points available. The on-going monthly bonuses are certainly up there with some of the better welcome programmes we have seen. With a casino call All Jackpots, it is safe to expect some seriously sky-high jackpots to be available for your gambling delight and, true to its name, you are sure to find All Jackpots Casino jackpots fitting for a King or Queen. There are over 20 progressive jackpot games and, some start at over $1,000,000. At All Jackpots Casino enjoy all the most popular international payment methods, plus some of the lesser known ones that account for some of the European currencies you can play in. As usual, not all the deposit methods can be used to withdraw but, in our experience and according to many sources, withdrawal from All Jackpots Casino is easy-peasy. iPod, iPad or iPhone? Whether you're an Apple aficionado or you prefer the business of Blackberry, or even just the stability of Android, you can enjoy winning your jackpots while you are on the move, in between meetings or while waiting at the cash register to pay for your shopping.